"Your man Matt, is one of the top technicians I have ever..."
"Very satisfied, Gary and Justin were very polite and professional and helpful..."
"Dennis did a fine job. He was thorough and professional..."
"I have already told people of your company and the process and..."
"Jim is a real gentleman, friendly, and very concerned about customer satisfaction." "I was so happy at this point I was speechless." "Eric did a great job - very competent and sociable..."
"We are extremely satisfied with the prompt friendly and informative service that we receive from Halco." "Very satisfied. Thom was so professional informative (explaining details), and pleasant..."
"Dave McC was very thorough, especially in ensuring that everything worked perfectly before he left the house. This was especially..."
Located in Phelps, New York, Halco is focused on providing high-quality energy solutions to residential and commercial clients. We have divisions that offer high-efficiency heating and cooling systems; home energy assessments; and envelope improvements including insulation, air-sealing, and clean renewable energy systems. We are dedicated to quality work, sustainability, innovation, and to providing extraordinary service to our clients. To learn more about Halco Energy, be sure to check out our listing on Angie’s List! Hal Smith started Halco in 1984. Hal has proven to be an innovator and visionary. 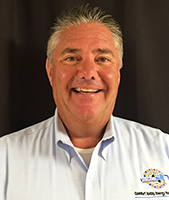 He has been a constant and primary force in Halco's development into a leading company focused on providing full energy solutions for residential and commercial clients with an emphasis on quality, service, and sustainability. Halco opened its doors in 1984. The business started as Halco Plumbing & Heating DBA, a residential plumbing and heating service and installation contractor. The company continued to grow until 1993 when we incorporated as Halcyon, Inc. In 1994, we started doing more and more mechanical and commercial service and installation work. It was at that time that we started doing this work as “Halco Mechanical”. 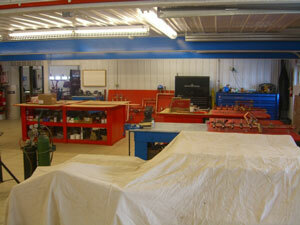 Halco Mechanical has continued to grow and has become a substantial part of our business. We currently do a lot of design and CAD work for our mechanical jobs. This work is referred to as "design-build" type work as opposed to traditional plan-spec work. In 2004, we formed Halco Electric to perform commercial electrical service. Then in 2007, we combined Halco Mechanical and Halco Electric into what we know today as “Halco MEPS”. The mission of Halco MEPS is to provide complete mechanical, electrical, plumbing and sprinkler design-build services to the marketplace. Also in that time period, we started Home Energy Performance by Halco. 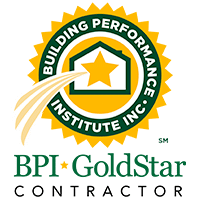 We have invested in a lot of training through the Building Performance Institute (BPI Certified Contractor), National Comfort Institute, and the Comfort Institute to bring to our customers the "whole house as a system" approach. This part of our business continues to grow each and every day. Things like energy assessments (assessments or evaluations) fall into this part of the Halco sphere. In 2009, we formed Halco Renewable Energy, which designs and builds solar electric, solar thermal, wind electric, and geothermal heating systems for residential and commercial clients. This allows us to put the final piece in place and work with clients to reduce the energy they are using and produce the energy they need. This approach is focused on reducing costs, providing comfort, and helping our clients take serious steps towards sustainability. We are involved with a number of local organizations throughout the Greater Rochester area, including the Rochester Business Alliance. We are also part of the Upstate Green Business Network, which promotes energy-efficient, earth-friendly businesses and services. 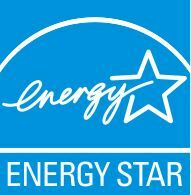 We have been recognized by the Home Performance with Energy Star Program for our energy-efficient improvements. Halco is also a proud member of the nation's largest energy network, Dr. Energy Saver. As the authorized Dr. Energy Saver dealer for the Finger Lakes region, Halco has received the extensive training, tools, and resources to excel our current energy specialties.